Now that I’m using my Polar RS800cx during my cycling tours, I’m of course am using the Polar ProTrainer 5 software to get nice overviews on the registered data! It’s a great tool to keep track of your trainings. But also with this software there are some things that are a bit awkward. One of them it the average speed readout. Let me show you through an example. Recently I rode from the seashore back to my home, this trip would take up some 150km. So overall a long ride! During this I was using both my Trek speed sensor and my Polar RS800cx. 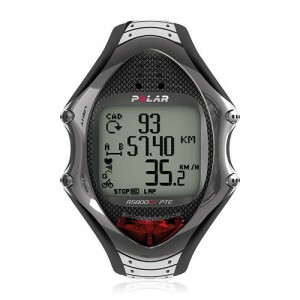 When I got home, I uploaded the Polar data to my pc, to take a look at it in ProTrainer 5. First thing I mostly do, is taking a look at the overall ride in the graph mode. This mode has all data plotted in a big line graph ( default setting ), like the heart rate, speed, cadence and temperature. It will also give you a good overview of all the totals underneath the graph, like total riding time, max and average speed and others… This overview pointed out that I rode an average speed of 25.3 km/h! But before you can see the actual graph overview, you first get a smaller window with also some detailed data already available! The weird thing here is that the given average speed here is only 23.7 km/h! So I was a bit confused on how this was possible! Because what is the actual average speed now? Through some calculations of my own, it seems that the average speed on the small overview is the correct one, because the total registered time is 6hours 30minutes and the total distance is 154.1 km. Using this, you would get the 23.7 km/h for an average speed! But because I didn’t pause on every occasion that we had to stop during the ride, my Polar has a longer total time registered! Resulting in the lower 23.7 km/h average speed given in the smaller overview. To summarise, I actually don’t mind that these 2 readouts are available in the software! To be honest, I’m glad it gives this, but I don’t like the fact that there is no indication in the software that this data could be different and also any explanation is missing!! The other thing that bothers me is that the graph data does indeed give me the average speed for the actual riding time, but doesn’t present my what the actual riding time was!! Very annoying. Only after a few usages ( I only have my Polar RS800cx for a few months ) my Polar IrDA usb device just stopped working. Well actually, it didn’t stop… when I plugged it in the usb port, Windows detected it and the IrDA device started flashing red! But I couldn’t make any connection with other infra red devices, so also not with my Polar RS800cx! 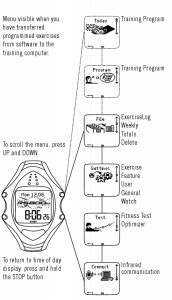 A real problem because my training sessions were filling up the memory on the watch! I didn’t see any other option then to drive up to the Polar Service center here in Belgium. At the center they had the same ‘problem’ as I had and they just gave my a new usb device! All is working well again now, but it worries me that the usb device just stopped working so fast. I hope it was just a bad unit, but looking at the Polar support forum, it seems I’m not the only one with IrDA problems! For the record, I was also using the Black model with the grey tip and also got this model again as replacement. Like some other cycling fans, me and some colleagues went on a small trip and got together to ride the Eddy Merckx route ! The other climbs of the day were fun and compared to the Paterberg, not that difficult. Because of the fact we started on the top of the Kluisberg we still had to do this one at the end of our journey. So even though it isn’t that steep, it was a bit hard because we had already done 47km. With the current petrol prices, it seems a good choice to jump more on my bike to get to work! With that in mind I rode more during the month May then I’ve done before… and because of this I began to wonder if I couldn’t ‘upgrade’ my bike a little bit to get more comfort out of riding. 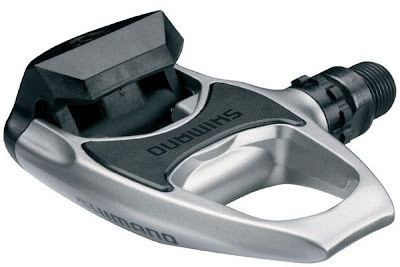 Well one of the things that was still on my bike wish-list where click pedals! I bought my bike several years ago and still haven’t got around to changing the normal pedals to a click version. 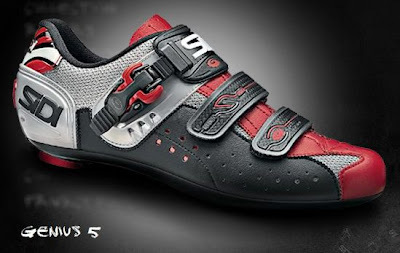 To get more grip and comfort during riding it would only seem natural to get new pedals. Well today I rode my first trip with all the new materials installed!! And I have to say, I enjoyed it very much and there is indeed a difference with or without them !! Here a quick overview of the things I bought.